While we are primarily a records retrieval company, we also provide a host of additional services to various companies. We assist our customers in many different ways so if you’re curious about who uses our services and how we help them, you’re in the right place. Below are the people we help and the primary ways we serve each of them. Insurance companies are one of the largest portions of our customer base. We assist them in various ways but mainly by acquiring medical records to be used in benefits coverage reviews and processing payment claims. Another large part of our client base is law firms, who typically outsource to us when they’re looking for someone to handle their medical and billing records retrieval needs. We help in providing records for lawsuits, and we also assist in obtaining requested records that help firms in negotiating settlements on behalf of their clients for a multitude of reasons, such as auto accident-related claims. Besides providing medical records, we also assist law firms in the following ways: prepare and serve subpoenas, research and prepare discovery reports, nurse reviews, and Medicare/Medicaid lien requests and negotiation of those liens. Oftentimes we act as an extension of third party administrator companies. Many of these operations are lean, and they rely on us for overflow work or for specific things like medical records retrieval. We also help locate court reporters and litigation records for them. Of course, we provide notary services for those based in the state of Ohio. We typically offer this when we need to certify a document to be true and correct for any legal proceedings. We also work on the opposite side of medical records retrieval: we work with thousands of healthcare professionals nationwide to provide medical and billing records for their patients. 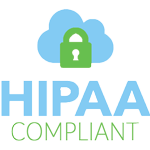 This promotes and ensures efficiency, security, and reliability in the complex area of HIPAA law. Having knowledge of both sides of this process well positions us to handle any records retrieval task. To round out our service offerings, we work with employers across various fields to locate employment records and facilitate background checks. We also provide translation services and interpreter services for those who need to overcome language barriers. In the Cincinnati, Ohio area we provide in-person interpreters; elsewhere, we offer our services via phone. By offering various other services related to medical records retrieval, we’re able to serve the needs of several client types. Our years of experience in the medical records retrieval industry positions us well to work with insurance companies, law firms, and third party administrators. Our experience with handling records for healthcare companies means we are adept at both sides of providing medical records. If you’re interested in learning more about our services, contact us. We’re happy to answer any questions you may have. Or if you’d like to check out our online portal, register for a free account today. No contracts are required and we don’t charge expensive monthly fees. You only pay us when we complete services for you.